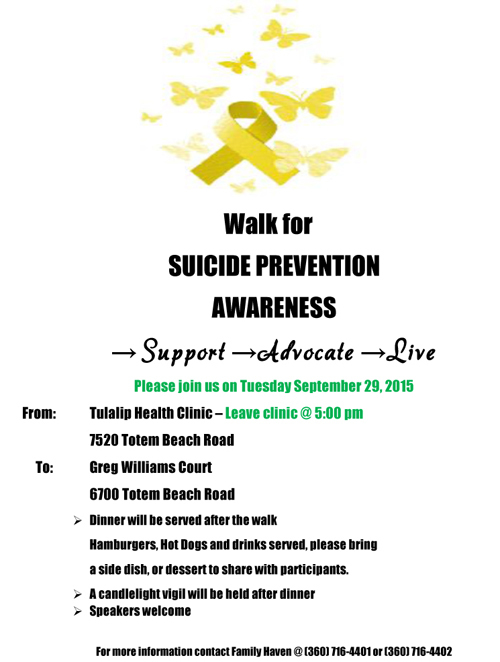 The walk will begin at the Tulalip Health Clinic at 5:oo p.m. This entry was posted in Education, Health, Tulalip News by Kim Kalliber. Bookmark the permalink.